The Door Industry Journal is an independently produced trade journal, published for the door, security, lock, ironmongery and automated gate industries. Our printed and online content features Industry News and product articles covering Industrial Doors and Shutters, Domestic Garage Doors, Entrance & Bifolding Doors, Fire Doors, Timber & Metal Doorsets, Automated Gates & Barriers, Fire & Security plus Locks & Building Hardware. Seventy five powered gate installers and inspectors have now successfully completed the Door & Hardware Federation Powered Gate Safety Diploma training course. The number is set to double during the first half of 2014 with a further series of training courses planned. 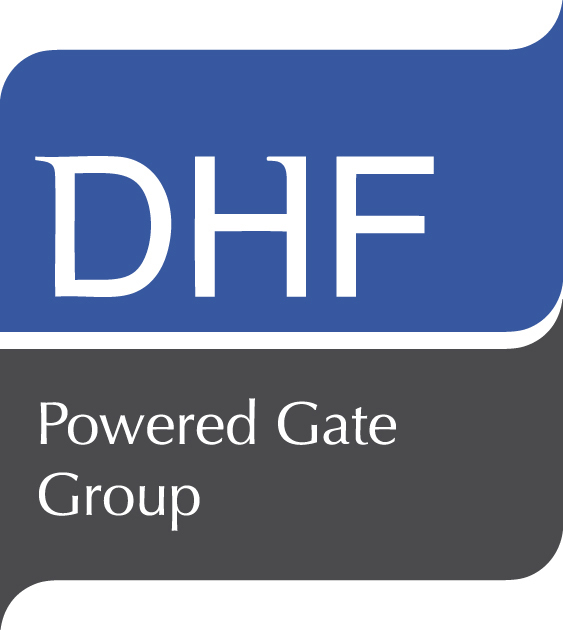 The training scheme is the latest initiative by the DHF Powered Gate Group in its drive to increase safety levels of powered automatic gates. In February, a further 16 delegates were put through their paces during the intensive two-day course held at NICE UK Ltd, Sutton in Ashfield, Nottinghamshire. They completed a number of training modules, covering all aspects of gate safety from initial risk assessment through to force testing, in order to obtain their coveted DHF Gate Safety Diplomas. The training scheme was launched in September 2013. It will be compulsory for all DHF members who supply and install powered gates or powered gate equipment to put their personnel through the scheme. It was put in place by the Powered Gate Group which was set up by the DHF to educate and promote the safe and responsible design, manufacture and installation of automatic gates. “This is the industry's only scheme to offer this depth of training and is now recognised as the premier qualification for powered gate installers and inspectors. The DHF Gate Safety Diploma training scheme is open to all personnel responsible for installation, assessment and inspection of powered gates. Training courses have now been arranged for April, May and June. For more information on dates and venues visit www.dhfpoweredgategroup.co.uk . The DHF represents all the key players in industrial, commercial and garage doors and gates, as well as the leading UK manufacturers and suppliers of building hardware, locks and architectural ironmongery. With the ultimate aim of maintaining and raising quality standards throughout the industry, all DHF members must meet minimum standards of competence and customer service. They all operate within a Code of Conduct governing standards of workmanship, quality assurance, training, safety business integrity and CE marking compliance. Low Cost and Free Publicity - Your company can easily benefit from some publicity like this in return for a contribution towards our layout costs (typically £25 plusVAT), payable via PayPal or credit card or receive the service absolutely free of charge if you advertise (see below). We post articles up to twice a day and never delete them - we only archive them each year so that they continue to remain visible to search engines. To have your story published - just send us your news item, logo and image(s) and we will review the material, make any necessary changes to the wording / wordcount and then advise you when it will be published. If you take display advertising or product and literature features in our printed and online publications, you will qualify for regular free postings on this blog while you continue to advertise with us. For details on features and advertising rates please contact us or visit our website. Aluroll’s Teleco Panel Offers Exclusive Benefits - Now With New Upgrades! Have you read our Spring Issue yet? © Door Industry Journal 2011 - 2018. Powered by Blogger.